If you are sick and need a healing touch from Jesus, I want to pray with you. I am not a healer: I can't heal anybody. Jesus is the healer. Believe in Him, trust Jesus, and you will be healed. Jesus is alive, He loves you, He wants to heal you. The Bible says, 'whosoever will call on the Name of the Lord will be saved'. 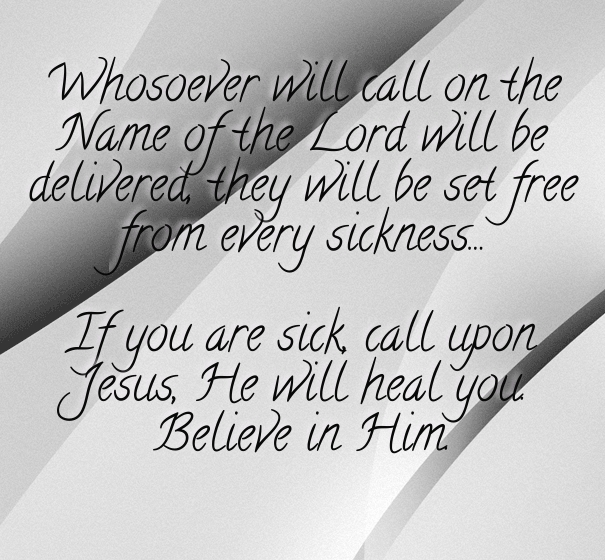 If you need this healing touch call upon Jesus. Listen or watch this short teaching. To listen to the teaching click here. To watch this teaching click here.